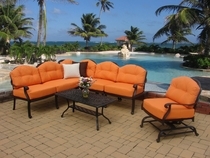 These fine Cast Aluminum Patio Sets are sure to look great in any backyard or patio setting. Whether its something fancy like the stunning Lancaster Sectional or the more relaxed Concord Collection, there's plenty of options to choose from. 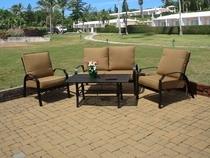 Make sure to also check out our Wicker Patio Sets, and our Teakwood Patio Sets for an even greater selection.